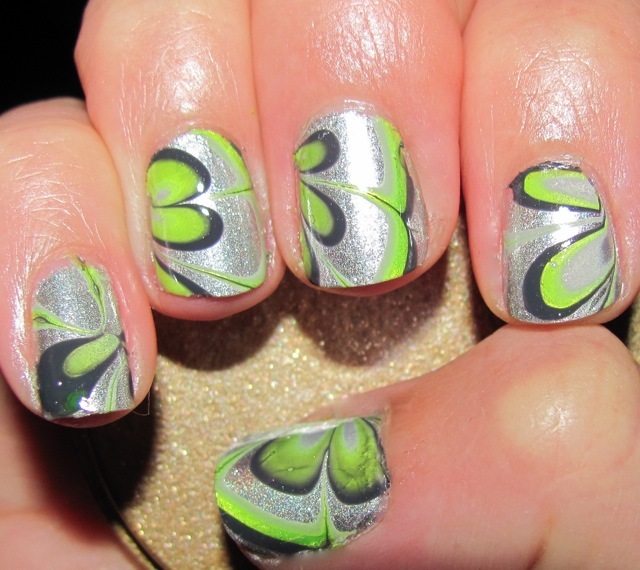 I had an idea of doing a gray scale water marble with one pop of color. This was vision come to life. I loved this marbling and it was fun to look at! 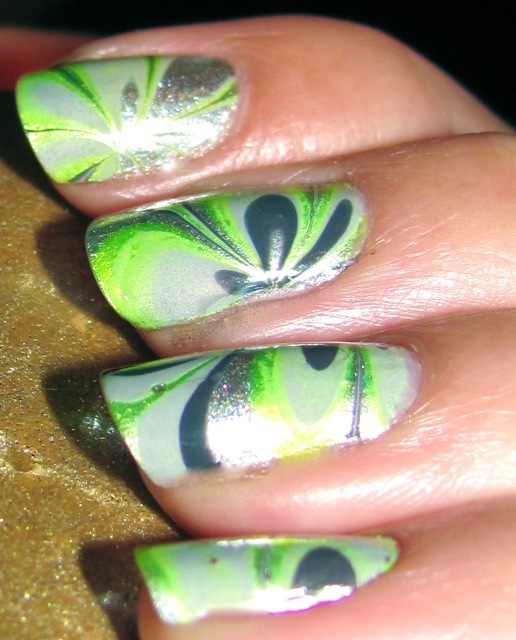 I first painted two coats of China Glaze Cheers To You and then marbled China Glaze OMG, Celtic Sun, Zoya Kelly and Dove. One coat of Seche Vite gave the final seal and shine. This is seriously awesome! Good idea with one color to pop! My favourite is your thumb on the left hand! I like how your two middle fingers make a flower. Love this!